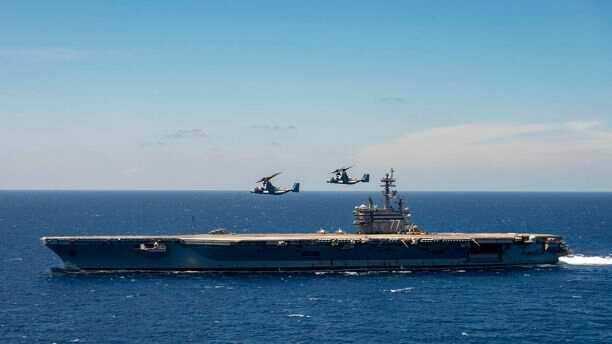 The US Navy issued a confirmation that the sailor who died aboard an aircraft was unfortunately struck by the turning propeller of a plane. The tragic death happened on Monday aboard the USS George H.W. Bush while it was in the Atlantic Ocean. In a statement they issued on Wednesday, the Navy said Airman Apprentice Joseph Min Naglak had just secured an E-2C Hawkeye radar plane to the flight deck then. The Navy also said that they are still probing the incident. They shared that Naglak’s death has been a heartbreaking experience for those on board the carrier. Naglak was just 21 years old at the time of his death. He enlisted in the Navy in New Jersey, his home state, in April last year. He completed his training just four months after enlisting in Pensacola, Florida and reported to the ship. For now, the ship remains at sea, and flight operations have resumed. Many have expressed their sadness for what happened and relayed their sympathies to the family of the deceased. What a horrific way to go. I have to hand prop my plane and its the most dangerous part of flying. he didn't follow process, that is the sad truth. navy has specific steps to take on these things and you have to constantly cert and re-cert to be able to work a flight deck like this. this sailor's death is of his own lack of attention.